Join us on Tuesday mornings to paint outdoors at various locations around the area. Contact Louise directly for specific questions. 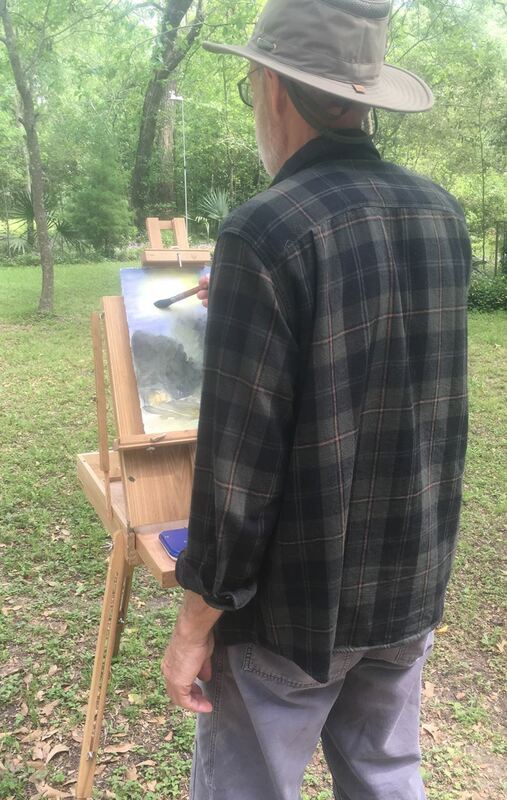 Do you love painting outdoors, in "plein air?" Or would you like to give it a try? WAS-H is excited to announce a new weekday Plein Air program. Beginning April 16th, we will meet Tuesdays, from 9:30 a.m. to 11:30 a.m. and paint at pre-selected locations in Houston, with an optional opportunity to share your painting with the group for a gentle critique from 11:30 a.m. to 12:00 p.m. Simply register to receive notice about weekly locations and updates. There is no fee or instruction. Come to as many of these weekday paint-outs as you wish -- no obligation. Click Here - Parking Map . Entries to parking lot off Hermann Drive at Crawford and Jackson Streets. Check back for future dates/locations. If a change is made in the schedule, registered members will be notified via email. In case of inclement weather, we will meet at Empire Cafe, 1732 Westheimer between Shepherd and Montrose. Empire has a wonderful covered patio area and only requires that we each purchase a drink or food item. Bring the supplies you can comfortably carry, and a lightweight stool. Some like to paint in their laps on a block or in a sketchbook. Check out suggested supplies from these seasoned plein air painters.